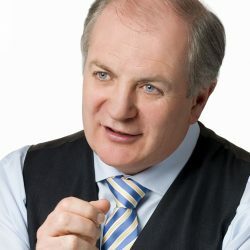 With more than 25 years of experience in his field of work coaching Taoiseachs, numerous CEOs and SMT Executives, Gavin Duffy has a unique understanding of the ever-evolving media landscape, and the ability to bring out the best of the spokespersons he coaches. Publicly known for his work with entrepreneurs on all six series of RTÉ’s “Dragons’ Den,” Gavin Duffy’s true calling is media training. He is a passionate and committed media coach, delivering training through his consultancy Mediatraining.ie for more than 25 years. Among others, Gavin has coached five Taoiseachs, numerous CEOs and SMT Executives of Ireland’s as well as the UK’s top corporations. He has also delivered media training courses in the United States, Australia, Belgium, France and Holland. With his setting-up of the local radio station LMFM in County Louth, Gavin’s career in media started at the age of 17. He was the presenter of the first RTÉ television business programme, Marketplace, and two years before that, in 1985, was one of the first presenters on Morning Ireland on RTÉ Radio One, which recently celebrated its 30th anniversary. In 1989, Gavin won the franchise for a regional radio station with LMFM, which he kept developing until the sale to UTV in 2005. In addition, he has also worked as a columnist for the Sunday Independent. As a result of the untimely death of Gerry Ryan, Gavin returned to the national airwaves, Radio One, for the Summer of 2010, to replace Ryan Tubridy who moved over to 2FM. 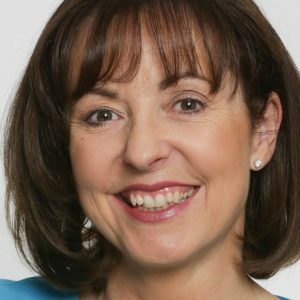 As a broadcaster and journalist who has worked at the very top, Gavin has a unique understanding of the ever-evolving Irish media landscape, and the ability to bring the best out of the spokespersons he coaches.